For many artists, especially those who are just beginning to establish their practice, a grant from the Asian Cultural Council (ACC) is a boost to their creativity as it gives them the time, space, and resources to pursue research, study, or creative work in the United States as well as in other key countries in Asia. For those who became recipients of what is officially called the ACC Philippine Fellowship Program, many would say that the opportunity was an eye-opener as it enabled them to experience firsthand an international view of the art world, meet artists from different cultures, and practice their craft within robust artistic contexts such as New York City. Just like any foundation, ACC Philippines conducts different fund-raising activities — from exhibitions to performances — to support its grant-giving initiatives. One such event was “Portraits by Andres Barrioquinto” unveiled at the National Museum in November of last year. A more regular collaboration is the annual auction held in tandem with Leon Gallery that has been going on for five years straight. Dubbed as the Asian Cultural Council Art Auction, it is slated on Feb. 23 (Saturday), 2 p.m., at the León Gallery headquarters at Eurovilla 1, Legazpi Village, Makati City. Some of the works that will be auctioned off are the creations of ACC grantees that include Ambie Abaño, Anton del Castillo, Noel Soler Cuizon, Dexter Fernandez, Riel Hilario, Leeroy New, and Samuel Penaso. Both Abaño and Fernandez extol ACC Philippines’ role in broadening their worldview. “Their support to my artistic development was so empowering because it exposed me to new environments and created opportunities to engage with other artists from all over Asia and beyond,” says Abaño, one of the most notable printmakers working today, in statement. 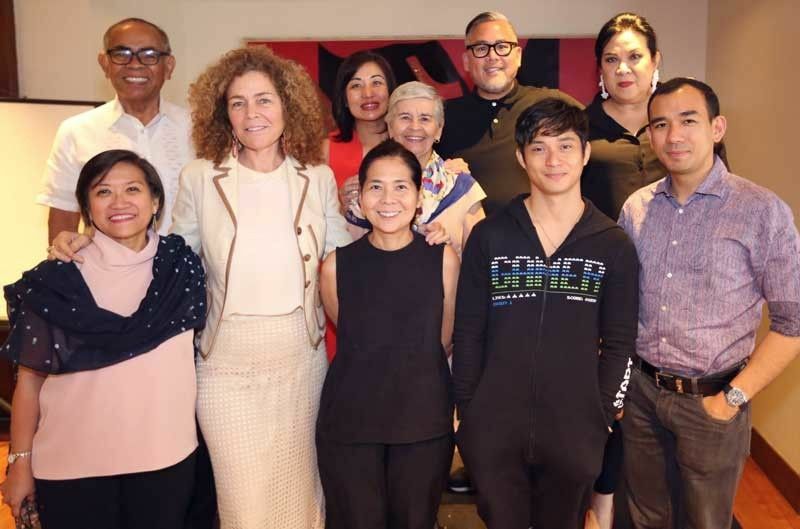 Jaime Ponce de Leon, the director of León Gallery, shares the vision of ACC Philippines as the foundation, through its grants, “improves the output of every artist.” The ACC Art Auction, he adds, is an important leg to León Gallery’s quarterly auctions. Sold last year at a staggering P112 million was “Space Transfiguration” by Jose Joya — currently the record-holder as the most expensive modern Philippine work. Joya, it must be said, was one of the first ACC grantees, then known as the Asian Cultural Program of the John D. Rockefeller (JDR) 3rd Grant. A special preview of the auction pieces starts on Feb. 20 at the León Gallery, G/F Eurovilla 1, Rufino Corner Legaspi Streets, Legaspi Village, Makati City; while the ACC-Leon Gallery booth awaits visitors and patrons during the Art Fair Philippines at The Link on Feb. 21 to 24.